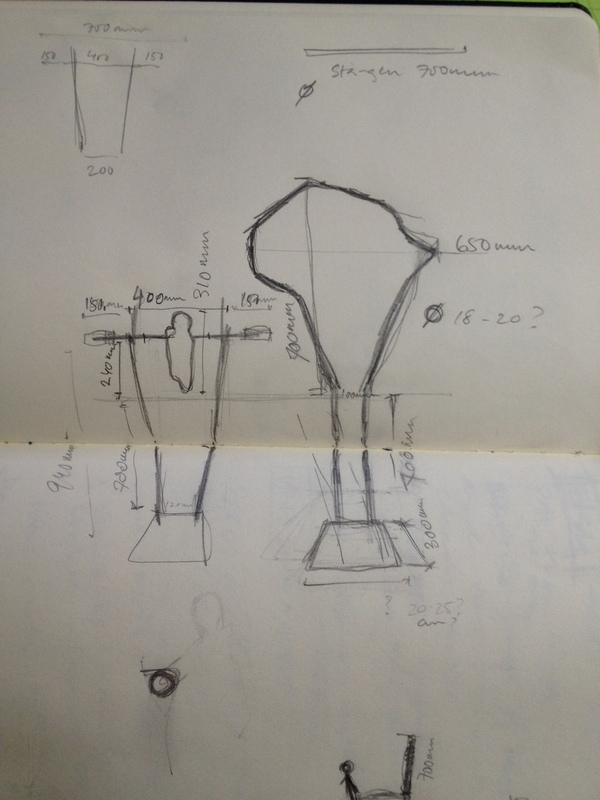 Swedens first Best Biennale I was requested to make a sculpture that would complement Tine Hardens photo exhibition “Kick out of Africa” at Dunkers Kulturhus in Helsingborg. 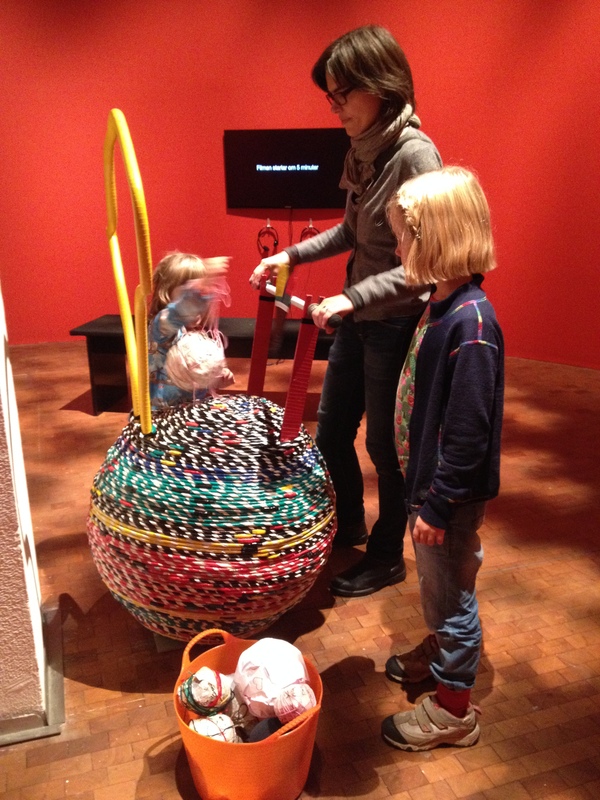 The Best Biennale should appeal to the child in us all and therefore I focused on the home-made footballs of the children Tine Harden’s photos displayed as the star of the sculpture. Table football/ soccer, being a popular table-top past-time amongst children and adults I incorporated a player with the mechanics of one into the sculpture. 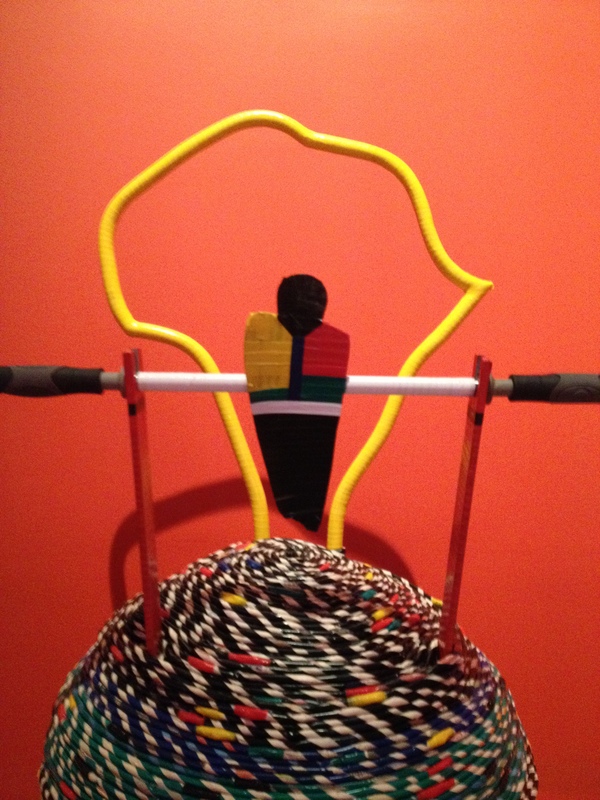 The shape of Africa that represents the goal gives you a challenge as to where and how to shoot your ball and the globe which it “stands” on is inspired by the weaving of african baskets. 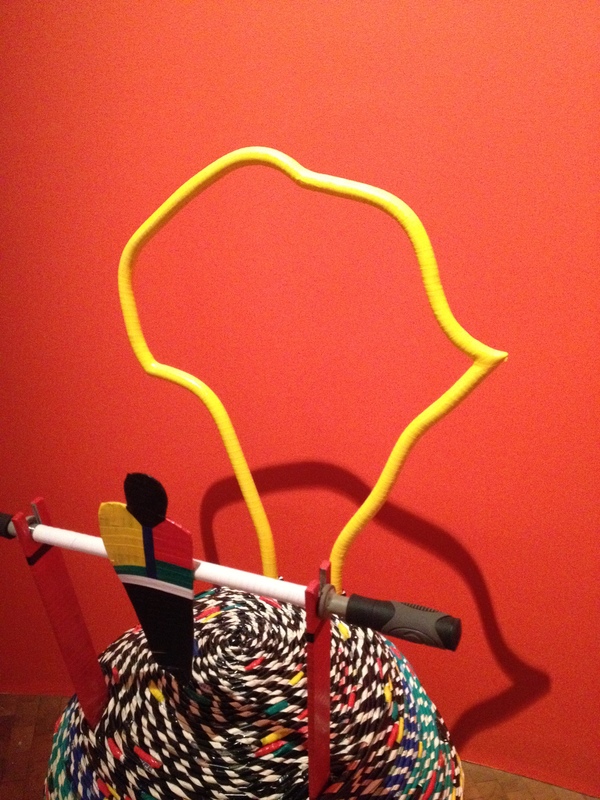 I was influenced by my 5-year-old son’s love of taping objects and used tape in the panafrican colours to decorate the sculpture. I was fascinated by the simplicity of the children’s football usually made of objects lying around the house like newspapers, plastic, cloth, rubberbands and string that I incorporated some of these materials in the weave of the globe. I made a goal shaped like Africa to symbolise that the kicking of the ball into Africa and the kicking of the ball out of Africa would show how the love for the game communicates over countries as well as continents.